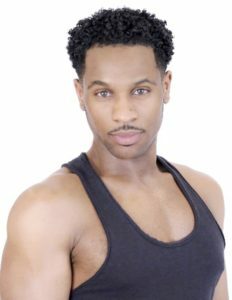 Phillip Anthony Morris has nearly 10 years of experience as an international choreographer, dancer and instructor. He has worked in recreational and competitive dance across the U.S. and Canada. He is trained in various styles of dance including hip-hop, jazz, acrobatics, musical theatre, ballet, contemporary, modern and tap. He has performed in Disney’s Broadway production of The Lion King. Phillip joined The Dance Connection faculty in 2017 and teaches jazz, lyrical and choreographs for the Dancelete team. He prides himself on being a compassionate instructor, who strives to train strong technical ability, while developing artistic integrity in all his students. Dance Connection dancers benefit from his intuitive, functional and flexible teaching style, that suites the needs of each individual student. Phillip began his dance training at a competitive dance studio while studying classical voice in high school. He continued his studies at AMDA College and Conservatory of the Performing Arts in New York City, where he studied musical theatre and acting. He later earned a bachelor degree in Fine Arts from Fordham University in conjunction with The Ailey School. With a variety of performance experiences and training certifications, Phillip brings his knowledge in dance, fitness, aerial arts, contortion, and more to each of his students. These experiences include performing and teaching internationally with Gloria Estefan, Jean Ann Ryan Entertainment Production, MMVAs with Lady Gaga, Harry Jerome Awards, Caribana Toronto, Stiletto Entertainment, Donald Byrd, Rosie O’ Donnell, and Disney’s Broadway production of The Lion King. Phillip’s passion lies within helping people develop true artistry at every age and transforming lives through the glorious journey of dance. Through his teaching he recognizes the positive impact dance can have on the development of a child and the importance of fitness on their physical development.